The publicity for The Face in the Lens says that "Anonymous photography has a magic all its own." The premise of the book is that collecting anonymous photographs together shows something special. 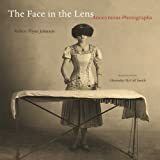 Robert Flynn Johnson put together this book and has expertise in the project: he also collected photographs for Anonymous: Enigmatic Images from Unknown Photographers (Thames & Hudson, 2005). It's doubtless an unusual specialization, so he is certainly better placed than most to do this work. He gives us a wonderful set of pictures here, which most readers will have never seen before. They are grouped into different themed chapters: immaturity, masculinity, femininity, compatibility, celebrity, singularity, activity, festivity, adversity, and inevitability. There is a short (yet tiresome) introductory reflection on anonymous photographs by novelist Alexander McCall Smith, and an equally vacuous introduction by Johnson; he writes, "In the end, these photographs are evidence. They attest to and record aspects of human existence." If that's their value, we might as well browse through the Yellow Pages. Nevertheless, leaving aside the ponderous categorization and the inessential writing, this set of images will hold the reader's attention. There is no doubt that Johnson has an eye for a good picture. Indeed, one can feel some sympathy for Smith and Johnson in their assigned tasks of trying to find something to say about these photographs, because the fact that we do not know who took them does not make much difference: they don't have titles and although there is information about where they came from, it's hidden in the back of the book in a way that makes it difficult to see. There's no unifying theme or style, and as a viewer, I had no unifying reaction to the pictures. The fact is that we see photographs all the time and we rarely know who took them. This makes us very used to assessing pictures with no thought of the photographer. Indeed, it is when we do know the photographer that we are likely to look differently, casting our minds to what other pictures he or she has taken, and making comparison. The Face in the Lens is good for browsing and being surprised. I particularly love the picture of Charlie Chaplin, still quite a young man, in front of a camera, looking strong and vibrant; a boy dressed up in a Star Wars costume as a stormtrooper, standing in a back yard with added components of sneakers and black gloves; and UK prime minister Mrs. Thatcher, shaking the hand of a voter, a woman in big curlers who has her mouth wide open talking, while the politician looks away, paying to attention to the woman. Many other pictures here are equally striking, and going through the pages of this book is a pleasure.